Bootable Mavericks partition on a super fast USB flash drive, with a complete restore from Time Machine of my production MacBook that I use every day. So I can instantly get back to work if I have a massive problem with Yosemite. Upgraded my production MacBook to Yosemite, so I can really put it through it's paces and test it out by using it all day, every day for real work. Complete Time Machine backups of my production Mavericks MacBook. Backups of my data files in multiple places. Mavericks VM also with a complete restore from Time Machine of my production MacBook. VMs with base installs of Yosemite and Mavericks. Multiple copies in different locations of the VMs. Make sure you've got a bootable Mavericks and complete backups of everything. Don't ever depend on a beta OS without an instant fallback option. I've got Mavericks on a dedicated Mac server, in a partition on a fast USB drive, and in a VM (lots of them actually :-D ). I've restored the Time Machine backup of my physical MacBook that I use most of the time with all of my important apps and settings all ready to go on both the partition and the VM. So just in case, I've always got a these fall back options ready to roll with everything I need to be instantly productive, if anything happens - Yosemite issues, lost or stolen MacBook, etc. etc. And I have multiple copies of the VM in different places. For everyone that makes a living in tech like I do, I highly recommend that you have these same fall back options ready to roll. Yosemite and iOS 8 are the biggest things to happen to desktop OSes and mobile OSes in quite a while. Apple has done something here that no one has done before or is capable of doing. Unlike all the other OSes and beta software I've tested, Yosemite and iOS 8 have several major innovations that can only be fully tested and understood by using both OSes together every day, all day. Innovations that are game changers that no one has been able to do before now. 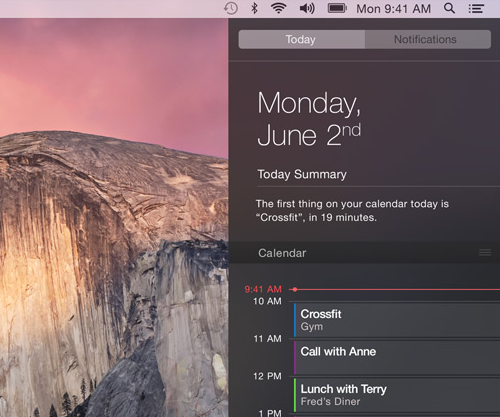 Extreme integration between Yosemite and iOS 8 with Continuity, Handoff and more. The beautiful new design of Yosemite. Cloud innovations with iCloud Drive and other iCloud improvements. App integrations between Mail, Calendar, Maps, Spotlight and more. Big improvements in Safari and Notification Center. Major extensibility via Widgets for Notification Center, Share Menu Extensions and Custom Actions. The major development innovations for Yosemite development and iOS 8 development like Xcode 6, Swift, shared frameworks between OS X and iOS, CloudKit, HealthKit, HomeKit, Metal, iOS keyboard extensions and more. Before you get started testing an OS, you need to give yourself lots of disk space and the fastest possible performance. So get yourself a great USB flash drive. You'll need the performance and space to test and run multiple OSes, whether you install them in VMs (Virtual Machine) or install them in bootable partitions so you can run them natively (directly on your Mac hardware) for maximum performance. And use USB 3, not USB 2, because it is a giant performance leap when used with the highest performance drive. I've done a bunch of research into this before I bought mine. There are a ton of USB flash drives out there, so don't make a big mistake and just settle for one. Buy a major brand and don't buy the cheapest either, because it will have crappy performance. There IS a difference and you do get what you pay for here. 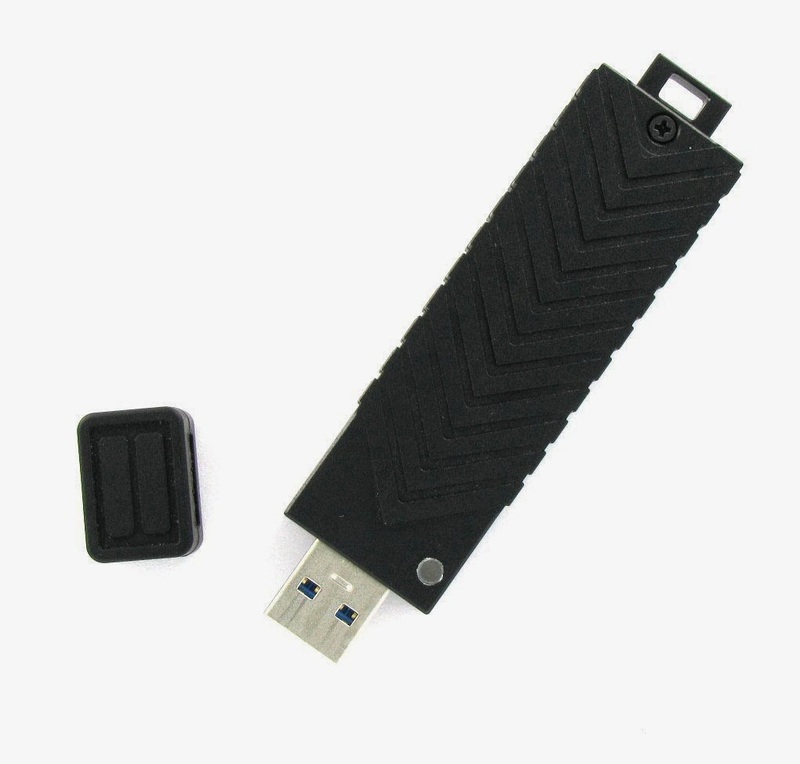 By far the fastest USB flash drive out there is the Mushkin Ventura Ultra. And they come in huge capacities in 60GB, 120GB, 240GB and a whopping 480GB !!! The reasons it is the fastest is because it's designed for extremely high performance, as well as capacity. It can do stuff that most USB flash drives can't, like it uses SSD tech in a SandForce controller, takes full advantage of USB 3 and has a multi-channel architecture. You pay for it, but it's way worth the huge leap in performance, as well as capacity. 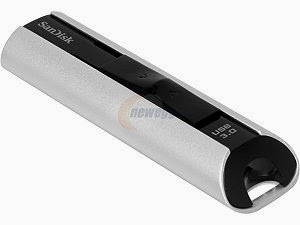 Check out product reviews at TweakTown, articles at Tom's Hardware and AnandTech, benchmarks at User Benchmark with a comparison to a fast Sandisk Extreme USB flash drive and a quick review at USBTips. I bought my Mushkin Ventura Ultra 240GB back in early March for $150 and I can vouch that it's smokin' fast. And this week I've really put it to the test by installing Mavericks natively on it, running a bunch or VMs off of it, and making backups really fast. Some fast alternatives to the Mushkin Ventura Ultra that I can recommend are the Sandisk Extreme Pro in 128GB and the Sandisk Extreme in up to 64GB. Although not nearly as fast, Mushkin claims almost twice the speed compared to Sandisk claims, I found that Sandisk did also get good reviews and tested at the top of it's class in performance. I have to still strongly recommend the Mushkin over the Sandisk, because right now the Mushkin Ventura Ultra 240GB costs $143 at newegg about the same (a few bucks less actually) than the Sandisk Extreme Pro in 128GB at $147 at Amazon. And the Mushkin is about twice as fast and twice as big. Pretty simple decision huh ? Another really interesting alternative for expanding storage capacity is the Transcend JetDrive Lite SD cards. They claim a lot lower performance than the faster USB flash drives and way slower than SSD. So they're not the best for OSes and VMs, but are great for extra storage of data files were performance is not an issue. They have zero footprint because they disappear inside the SD slot, so you can leave them installed all of the time. To accomplish this they are designed for specific MacBook models and only ones with SD slots, so they currently only support the MacBook Pro Retina 13" and 15" and Air 13" models. Another extremely high performance option is a USB 3 SSD. These will perform even better than the Mushkin, but they are typically larger in physical size and in price. Hopefully most of you reading this won't need this section at all, because you are regularly backing up your Mac. Here is a quick overview of various types of methods to backup and restore Macs that I've used successfully. Time Machine disk configured on an AirPort Extreme with an attached USB hard drive. This simply behaves like a shared disk, so from Time Machine's perspective it is the same as a locally attached drive. Time Machine disk connected locally to the USB port on the Mac. Time Machine disk installed internally on the Mac. Time Machine disk configured on the Time Machine component on a Mac running OS X Server. Backing up from and restoring to Yosemite, using Time Machine on OS X Server 3.1.2 running on OS X 10.9.3 Mavericks. I've also successfully moved the same Time Machine drive from each of those 3 configurations. The only issue with this that I encountered was getting the OS X Time Machine component to recognize and use the previous backups done locally or via the AirPort Extreme. Although I have not experimented to see if there is a solution, because it's not big deal for me. Go to the Mac Dev Center on the Apple Developer site and use the Redeem Code button to get a code to download it from the Mac App Store. Download Yosemite from the Mac App Store. This will place an .APP file in your Applications folder and when the download is complete, it will launch the app. The complete filename is "Install OS X 10.10 Developer Preview.app" and the file is over 5.1GB. Quit the Yosemite Install app. Make a backup copy of the .APP file. You can use the .APP file to install Yosemite on multiple machines, so you don't have to download it again. The .app file must be copied to a local drive. I've tried to run the app from a network drive and a USB connected drive and it prompts you to run it from a local drive. The .app file is over 5.1GB so you'll need plenty of free local disk space. I've successfully done upgrades of a Mavericks on a VM and a local partition. UPDATE July 2, 2014 - VMware has updated Fusion to v6.0.4 on July 1, 2014, which now allows you to use Mac OS X Yosemite Developer Preview as the host OS. See my article VMware Fusion now supports Mac OS X Yosemite as Host OS for details and how to update it. I confirmed in my own testing that VMware Fusion v6.0.3 works fine running Yosemite inside a VM, but it does not run on a Yosemite host. Here's what I tested and what works and does not work. Updating to Yosemite from Mavericks and running Yosemite as a guest OS in a VM. Mavericks is the host OS. Installing a new VM running Yosemite as a guest OS. Mavericks is the host OS and the OS type selected in VMware Fusion was Mac OS X 10.9. Note that performance of Yosemite in a VM on VMware Fusion is not great, but it does work. There seems to be some graphic issues, for example you can often see the screen paint or garbage display while booting Yosemite in the VM. I encountered similar graphic issues last year running the Mavericks beta on VMware Fusion v5x, so I'm not surprised. The VMware Communities thread OS X 10.10 DP as a VM in Fusion 6.0.3: it works has some thoughts on improving graphics performance. Running VMware on a host Yosemite (running natively on the MacBook hardware). Running Mavericks as the host (native) OS on a MacBook. Completed a Time Machine backup. Ran the "Install OS X 10.10 Developer Preview.app" to upgrade Mavericks to Yosemite. VMware Fusion v6.0.3 app icon in the dock now appears with a circle with a slash through it and no longer would run. When attempting to run VMware a dialog appears with the message "You can’t use this version of the application “VMware Fusion.app” with this version of OS X.". Apparently Apple may have specifically disabled VMware on Yosemite knowing that it would not function properly. It is common for VMware Fusion to not officially support new versions of OSes very quickly, and especially betas, and to take quite some time to update VMware Fusion to support a new Mac OS X. Parallels seems to be a bit faster to add new OS support. Last year when the Mavericks beta was released VMware Fusion v5x worked running inside a VM as well, even through it was not officially supported. At that time I did not test running VMware v5x on a Mavericks host. VMware does have a beta program for Fusion called VMware Fusion Technology Preview 2014. But discussion threads in the VMware Community forums indicate that it also does not work on a Yosemite host OS. It has not been updated since May 20, 2014, before Yosemite was available on June 2, so that's not a big surprise. If you don't already have Mavericks running in a VM, read my article on How To Install Mac OS X Mavericks in VMware Fusion. Once you've got the Mavericks VM booted, the steps are pretty simple. Although it does take quite some time to finish. Connect to the network shared drive, USB drive or shared folder, from within the VM. Copy the "Install OS X 10.10 Developer Preview.app" file to the VM's local drive and run it. Simply follow the prompts to upgrade the VM's local partition to Yosemite. 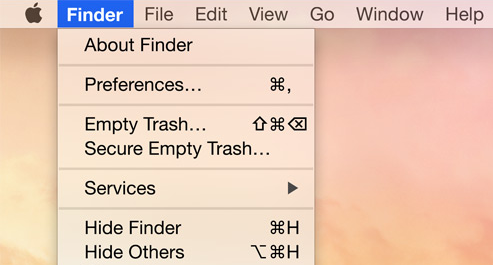 Create a new VM in VMware Fusion with the File > New menu command. In the Select the Installation Method dialog, select Install from disc or image. Select the .APP file as the disc image. And of course do all the usual stuff you would do when creating a new VM like configuring the settings and installing VMware Tools in it. You can of course install Yosemite on your primary and only partition by simply running the app. But then you have no easy way to fall back to a working Mavericks install. Here are a few options that I've used and that work well. In this scenario you are installing Yosemite on another partition so you can boot your Mac in to your existing Mavericks partition or in to the new Yosemite partition. This is one of the many ways that Mac OS X far outshines Windows, because booting in to any partition on local or an external drive, is directly supported by OS X and the partitioning tool is built in too. In Windows, multi-booting has historically been a huge hassle that required you to buy third party software to create and manage partitions, and a multiple boot app that allowed you to boot in to any partition that you wanted. Back in the day, I used PartitionMagic and BootMagic from PowerQuest. I haven't done this since before Windows 7 when I started using VMware to boot multiple OSes, so I can't tell ya' the best practices on how you'd do this with Windows these days. Always have a bootable Mavericks partition ready. The Mavericks OS install app will NOT run on Yosemite, so make sure you create or keep a working Mavericks OS install that you can boot in to. You can find a lot of articles out there that walk you through this, so I won't repeat what they have to offer. Ars Technica published a recent article that is specifically about How to create a test partition for the OS X Yosemite beta. The Disk Utility app built in to Mac OS X supports all the partitioning you'll need to do. You can even resize an existing partition smaller or larger by just dragging the edge of the partition on a graphical partition map (back in the day this was a nightmare in Windows). Disk Utility is a quick and easy way to shrink the size of your existing boot partition and create a new partition for Yosemite to be installed. When you run the Yosemite app you can choose to install it in to any partition on your Mac, even external drives. You can boot and install OS X on to any external drive connected via Thunderbolt, USB or Firewire. You can buy a USB flash drive and install Yosemite on it, for a quick, cheap and safe way to test Yosemite. Time Machine component in OS X Server 3.1.2 running on OS X 10.9.3 Mavericks. I've been using this since OS X 10.9.0 and OS X Server 3.0. Time Machine using locally connected USB drive. USB Drive is a 6TB Western Digital My Book Studio II. I have full Time Machine backups of 3 different Macs running Mavericks. Run the Migration Assistant.app under /Applications/Utilities. Every Mac OS X install has this app by default and it is the simplest way to restore an entire Mac. Boot the Recovery partition by holding down the Command+R keys when the Mac boots. You can access a migration feature there too via the Restore from a Time Machine Backup option. Both of these options will work from a local partition or a VM with OS X installed. This was a restore of a Mavericks 10.9.3 backup to the local partition of a MacBook. These restores have worked flawlessly several times now. This was the same backup used to restore to a local partition of a MacBook. But oddly encountered an error that reported an error restoring the network and computer settings. I discovered that it did restore data and most configuration settings, but not any of the apps that were installed. Even odder, the dock showed the app icons in it, but the icons were blank with only a question mark showing. I ran a restore a few times with the same result. Finally I selected only the Applications to be restored, and the apps were then fully restored and everything appears to be working properly. I hope you find this useful. Please post comments with your experiences and any tips you've discovered.